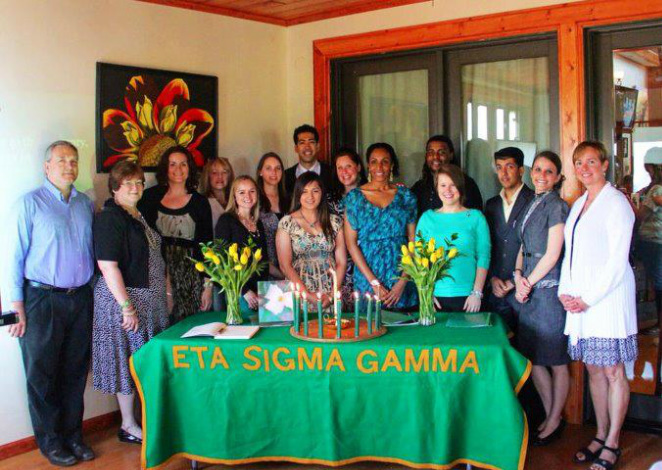 Eta Sigma Gamma (ESG) is a national professional health science honorary for undergraduate students, graduate students, and practicing health professionals. The primary purpose of the honorary from its beginnings in 1967, has been to further the professional competence and dedication of individual members of the health science profession. These three elements form the basic purposes of the organization and the profession; teaching, research, and service. The Alpha Alpha Chapter of Eta Sigma Gamma, from its beginnings in 1976, has been to further the professional competence and dedication of individual members of the health science profession.